The Savannah River separated the territories of South Carolina and Georgia. Moses Waddel established himself as a preacher to churches all along the river, on both sides. While Moses’ primary legacy is as a prominent educator, he was equally as influential in the religious sphere as well. Separating the teacher from the preacher is an impossible task, because both so intertwined to form the man that is Moses Waddel. Moses’ body was prone to frailty and sickness, and his life experience proved heartbreaking and difficult at many times-but Moses often found himself being reminded of the “hope that is within.” His faith carried him through hardships and urged him to move forward with more vigor. After the American Revolution and prior to 1796, all of Georgia had been considered as part of the jurisdiction of the Synod of the Carolinas in matters of Presbyterian church government. Many of the churches that Moses attended and preached at, including in Appling, though in Georgia, were overseen by the Presbytery of South Carolina. The winter of 1796 and spring of 1797 was a historic time in Presbyterian history in the United States. 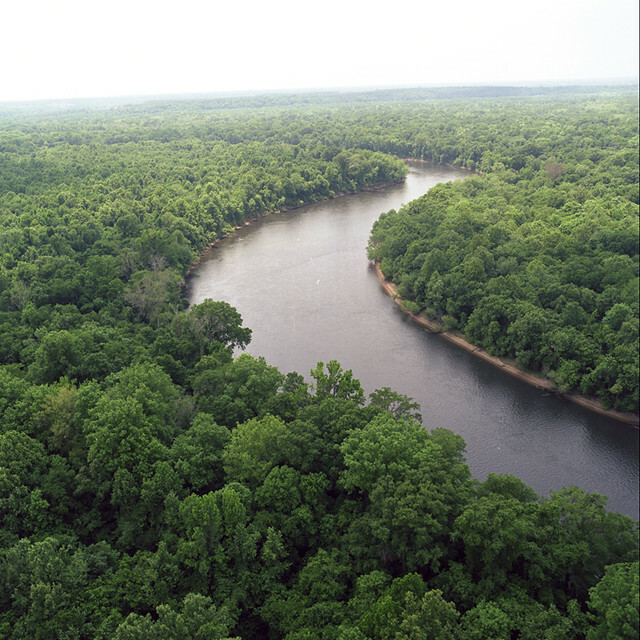 In November of 1796, the Synod of the Carolinas voted to officially separate from the territory southwest of the Savannah river. Several ministers who had preached along the area and further inward parts of Georgia were detached and established as the first presbytery of Georgia, which they called Hopewell Presbytery. Among these first men were Moses Waddel, John Newton, John Springer, Robert M. Cunningham, and William Montgomery. In March 16, 1797 the first presbytery meeting was held at Liberty Church which Moses served as the clerk. While the original Liberty Church doesn’t seem to exist anymore, this church was formed as a branching off of the original Liberty congregation, to accommodate people who lived further South and who could not travel a further distance to the main church. “South Liberty” was established in 1820. It is also of some interest to note that Liberty Church was first built and established in 1779 by a group of French Huguenots who had settled in the Georgia territory along the Savannah River. Many of the Huguenot population had good relations with the Scotch-Irish and worshiped with the Presbyterians at their Liberty and Hopewell locations. For many years, Moses labored as the minister of both Liberty church and Hopewell church, separate congregations along the Savannah. Sometimes other preachers would divide the task, but as the locations were rural and there was already sparse labor, Moses often did the work himself. This meant that he often had to alternate, and even share, Sundays between the congregations, riding on horseback between the two. Even when Moses later settled in Vienna, on the South Carolina side of the river, he continued to aid the churches he had grown to love and labor over. This was not the simplest task. In later years, he spent most of his time focused on his primary role as an educator-starting an Academy in Vienna, South Carolina, establishing the prominent southern school, Willington Academy, and later Franklin College (which became the University of Georgia). Still, Moses felt a special call to support the ministry in an evangelistic capacity and supported the work of the church even into his old age. At one point, after establishing himself more permanently in Athens, Moses Waddel guided the beginnings of First Presbyterian Church of Athens in 1820 and became its first minister. For Moses, his “heart was always more in the pulpit than in the classroom.” This remained true for Moses Waddel throughout his life. Even when old age and sickness overtook him at the end of his life, he found solace in serving the church by some means, even if it meant dragging himself out of his sick bed to preach to a small gathering in his home, or hobbling to his elder duties half-paralyzed and with a rickety cane. For the entirety of his life, Moses remained wholehearted in his calling to teach and minister. This steadfast devotion was a mark on Moses Waddel’s character and carried him through the highs and lows of life. To move forward in the story of Moses Waddel, it is necessary to take a step back. While Moses loved and cherished his dear Catherine, she was not the ‘first love’ of his life to have sparked. During his time at Hampden-Sydney College in Virginia, Moses met a young woman named Elizabeth Woodson Pleasants. At the time, they became acquainted and grew a great fondness for one another, and John Newton Waddel mentions that his father may have even officially proposed. The two were engaged, at least in some form. However, when Eliza’s parents were approached, they refused to give consent because they didn’t want their daughter to be taken to what was then a remote wilderness and frontier state. Reasonably, they didn’t want the dangers and hard life to wear on their daughter. So while Moses and Eliza were deeply infatuated with one another, they heeded to her parent’s wishes to not cause a resentment and the matter was put aside. Years later, when Moses and Catherine Calhoun were officially engaged, Moses received an unexpected letter from Eliza. She wrote a letter explaining that her parents had finally been persuaded to let her go to Georgia and that she could now marry him. At this time, however, Moses had already moved on and set his sights on a life with Catherine. At thirty years of age, and over four years since the death of his first wife, Moses once again turned to his calling as a teacher. Moses’ life was beginning to get back on track. By 1800, he had begun to teach again at a school in Columbia county, Georgia, and had settled well into local ministry. So when he had heard news that Elizabeth was still unmarried, Moses sent word to her himself. It wasn’t long until the two had reconnected and were married the following year of 1801. Soon after, they relocated to Vienna, a small village in the Abbeville district of South Carolina. There, Moses opened a new academy and was called as pastor of the Hopewell and Liberty churches along the Savannah river.